After a 25-year dry spell, São Paulo was blessed with a transcendent show last night at Espaço das Américas. The venue had the air of a giant church, and yesterday, it became the greatest altar of faith, hope, joy, love and Rock and Roll. For over three hours, the audience witnessed Bruce’s endless vigor and stamina on stage, kicking off with “Sociedade Alternativa,” originally performed by one of the greatest Brazilian rock stars ever, Raul Seixas. Brazilian crowds often chant “Play Raul” at different shows, but before the first fan even had the chance to scream these two words, Bruce beat them to the punch, pronouncing flawless Portuguese with a slight accent, only adding to his version of the song. Wherever he is, Raul surely smiled and chanted with excitement: “This gringo is the man!” The crowd already got their tickets’ worth by the end of the first song alone; Bruce asked if they felt the energy taking over the place, and people were amazed by such an unexpected and pleasant surprise in the song choice. After all, it always seemed like no outsider knows any Brazilian songs other than “Girl from Ipanema” and “Ai Se Eu Te Pego”. 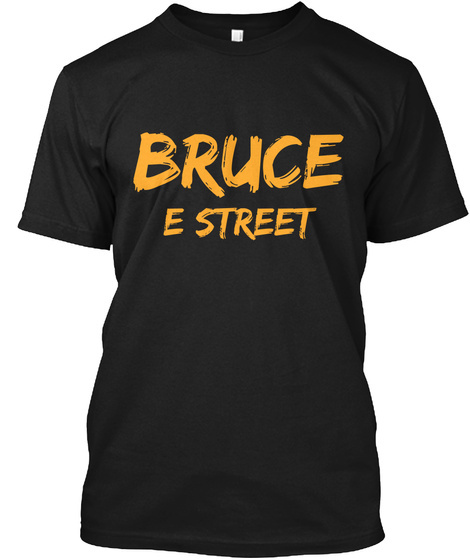 Bruce and the E Street Band followed with a one-two-three punch of footstompers in “We Take Care of Our Own” then “Badlands” and “Death To My Hometown,” before letting out a growling “CAN YOU FEEL IT?” as they prepared for “Spirit In The Night.” The audience responded with incredible reverence and praise: “BRUUUUCE” added to Brazil’s own: “Olê, Olê, Olê, Bruuuuuce… Bruuuuuce!” The mutual love and respect between Bruce and his fans peaked as they worked together to crowd-surf Bruce from deep in the pit back up to the stage with the support of his fans. The show was grandiose and cathartic, as usual in Bruce’s live performances, and despite the overflowing energy, excitement and musical power, the feeling of love that radiated through the venue continued even further. While singing “She’s The One,” he picked out a sign from a young man in the audience, reading: “I want to propose to my girlfriend on stage because she’s the one.” Bruce generously brought both of them up on stage: he proposed, she said yes, and most of the audience, including myself, broke down in tears. The party continued with several more special experiences for lucky fans, like the shy child with a bouquet of roses for Bruce invited on stage during “Waitin’ On a Sunny Day” and an expecting mother whose belly was serenaded by Bruce, setting off that baby’s musical tastes in the right direction. A humble and generous performer, he continued the surprises by sharing guitar picks and even his harmonica with fans in the pit as the E Street Band, as sharp as ever, played almost as an extension of Bruce himself. Though the venue was small in comparison to this coming Saturday night’s scheduled performance at Rock In Rio, the show last night in São Paulo had incredible magnitude thanks not only to Bruce and the Band, but to the raucous audience who had waited 25 long years to celebrate again with The Boss. Thank you, Bruce. You are always welcome here in Brazil!